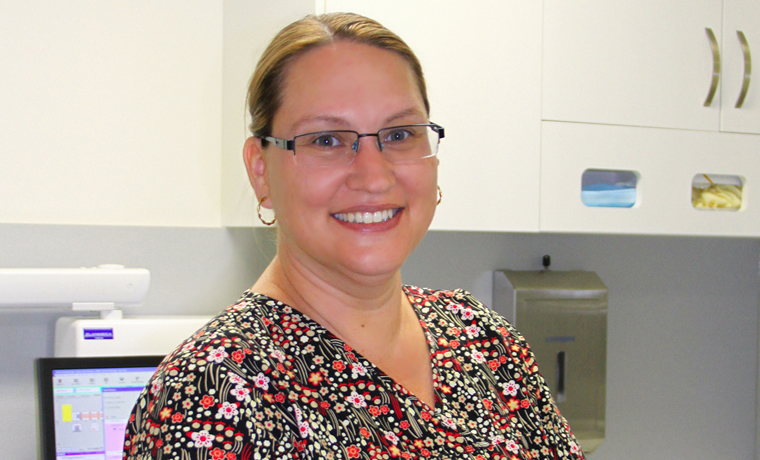 Michelle is our oral therapist and hygienist. She uses preventive, educational and therapeutic methods to control oral diseases whilst achieving and maintaining oral health. She performs clinical procedures to prevent dental disease. As an oral therapist she also provides routine dental examinations and treatment for children. Having worked locally for several years under her maiden name Michelle Harris and returned to the work force and joined the Aura team after a maternity break in 2013. Michelle enjoys baking and spending time with her family when she is not working.